Parylene conformal coating is becoming an ever increasing part of everyday life for the defense, bio-medical, and other industries. Download Diamond-MT's Parylene 101: Coating Facts Sheet to understand the basic facts on the process. 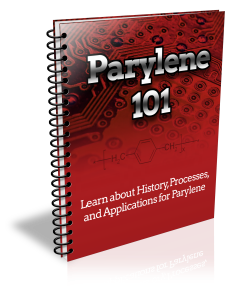 Download our Parylene 101: Coating Facts Sheet now to learn the basics about parylene!